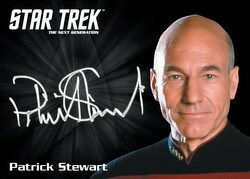 Every Star Trek The Next Generation Portolio Prints Series Two box contains 3 autograph cards. Every case inclues a color sketch card. Sketch artists include Irma Ahmed, Warren Martineck, Rich Molinelli, and over 40 more! 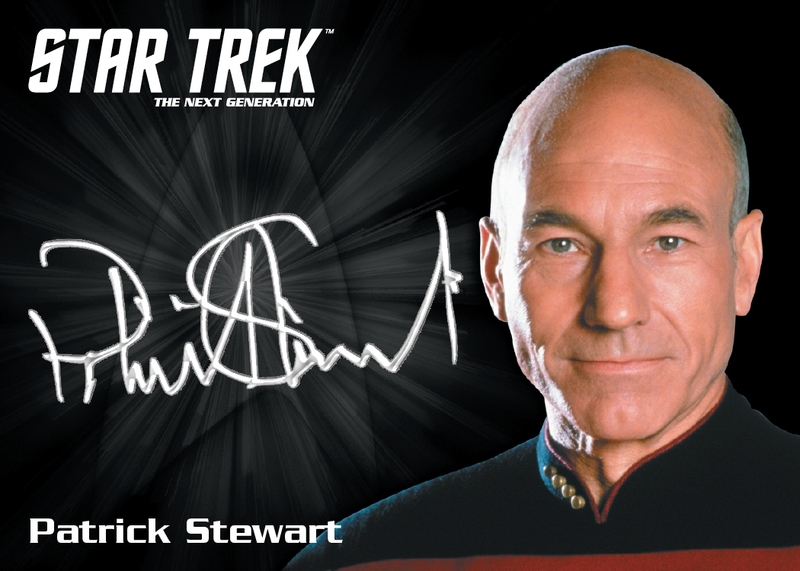 Silver signature autograph signers include Patrick Stewart, Gates McFadden, Michael Dorn, and Denise Crosby. 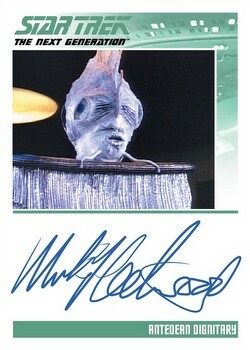 Regular signers include Mick Fleetwood, Samantha Eggar, Mitchell Ryan, Marcus Nash, Madchen Amick, Brian Brophy, and more! In addition the 88-card base set, look for 88 Gold base parallels and 88 Juan Ortiz-signed base parallels. Bonus cards include 9 Ships of Line, 40 TNG Comics '89, 40 TNG Comics Archive Cuts, 9 TNG Universe Art, and 10 TNG Metal (#'d to 100). Each case includes an "I am Locutus" or "Q" card. 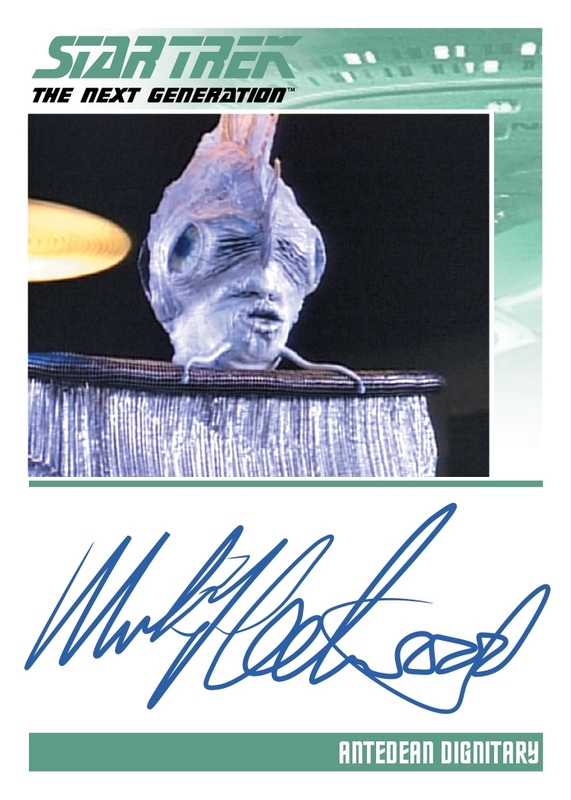 Case incentives include a 6-case Brent Spiner/Denise Crosby Dual Autograph card, a 9-case Hand-Painted Sketch/Art card by Mick Glebe, Matt Glebe, or Charles Hall, and an 18-case Archive Box that includes an exclusive, numbered metal Q card.